In announcing the move, Moody’s noted the “erosion in the company’s global business position and the challenges it will face implementing its Fitness Redesign program.” The Fitness Redesign program is Ford’s $11 billion, five-year plan to revitalize the company. “The Fitness program is a necessity, but it will take several years for material financial and operating benefits of the program to be realized,” Moody’s said in its report announced the move. In response, Ford officials noted the company’s long history of profitability and “strong balance sheet.” They expect to execute the Fitness plan and believe that only strong results over an extended period of time will sway the investor community. The automaker is in the process of a massive reorganization, cutting $25.5 billion from its engineering and other cost centers. The transformation includes a massive realignment of its product offerings, moving out of cars and exclusively into trucks, crossovers and utilities. 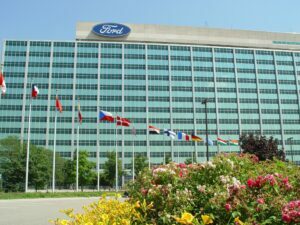 This entry was posted on Wednesday, August 29th, 2018 at and is filed under Automakers, Automobiles, Business, Executives, Ford, Investors, Personalities. You can follow any responses to this entry through the RSS 2.0 feed. Both comments and pings are currently closed. Just out of curiosity, what are the investment ratings for GM and FCA?